Colombia in October is a relatively tranquil time, as the summer crowds are gone and the rainy season in Bogotá is coming to an end. It's a good time to hop over to this country and enjoy it without having to contest with the tourist hordes. Let this guide clue you in as how to best enjoy Colombia during October. Likely wherever it is you're coming from is enjoying the seasonal change that occurs during the month of October. You notice it's getting darker earlier and those fall rains are beginning to drizzle. Yet through it all, Colombia's stalwart climate remains obstinate in its refusal to change. Medellín's springlike weather is ever-present, southern Cali's balmy tropical savanna climate remains unchanged, and the Caribbean coast stays sultry, hot, and humid. That said, if you visit the capital city, expect more frequent rain. That's because, other than April, October is the peak month of what constitutes Bogotá's rainy season. However, if you arrive late enough in the month, you might miss the heaviest of the precipitation. If that is the case it will make your walking and/or cycling tours of this high-altitude Andean metropolis that much more pleasant. If you come in October you'll technically be traveling during the shoulder season, so expect lower airfares and hotel fees. An added bonus is that there are fewer crowds, too. The tradeoff is that the holidays and festivals Colombia is most famous for do not occur during this month. That said, there are some parties to be had if you know where to look and come at the right time. Those here in October will want to consider heading as far south as you can go in Colombia—to Amazonas Department. The Amazon doesn't have a wet and dry season, but rather high-water/low-water seasons. The low-water season here is from May-November, so if you fancy a jungle trip October is a great time to come—the lower river level means more wildlife is visible and more sights, like various nature reserves, are accessible. So come and visit Leticia, Puerto Nariño, and Isla de los Micos—you'll have a blast. Another idea is to head to the little-visited Chocó Department. This is the Pacific coast region of Colombia. 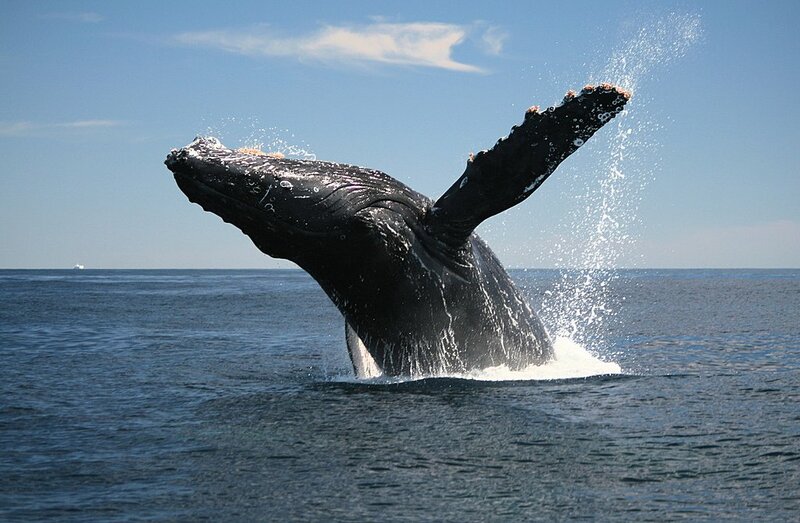 What makes it ideal during this time is that from June through October is whale-watching season on the Pacific coast. So come to the little fishing village of Nuiquí and spot some humpback whales during their migration to warm equatorial waters. October is also the peak time to visit Caño Cristales in La Macarena National Park. Located in the south of the country a short flight from Bogotá, Caño Cristales is a river whose bed, at certain times of the year, comes alive in bright shades of yellows, reds, and blues. The colors are so vibrant, in fact, that Caño Cristales is known as the "River of Five Colors." Note: you can only enter this area with a licensed guide. If you want to experience this rare natural phenomenon, check out our 8-Day Itinerary from Bogotá. If you're traveling during the end of October and are looking for some epic parties, make a point of being in one of the major cities (Bogotá, Medellín, Cali, Cartagena, etc.) at the end of the month. More on this below. Dia de la Raza (Columbus Day). October 12th here is much the same as it is in the United States, in that it is an official holiday (Colombians get the day off work, too) that most people don't pay much attention to. Keep in mind that some businesses may be closed. Halloween. October 31st is also similar to the United States in that parents typically dress up their children. However, trick-or-treating from house to house isn't as common here (parents typically take their kids to shopping malls or stores to ask for candy). Visitors should be pleased to know that in the big cities (particularly Medellín) you can find many options for costume parties at local bars and discos. These are typically multi-day affairs, too, as All Saints Day is celebrated on the 1st of November, so many Colombians have three-day weekends over these holidays. Traveling to Colombia in October? Check out these great itinerary ideas. Colombia's Amazon Rainforest & Canyon Tour. Colombia's Amazon region is particularly well-suited for visiting in October, given the low water levels and ease of access to more nature reserves. What does this mean? Better wildlife viewing and more to explore.